A lot of us natural kinks have give up on coconut oil and i am here to show you how to make it work again. 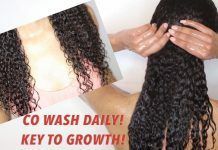 In this video I am going to show you hot to use coconut oil to grow your hair. Coconut based products should be used in moderation. Ecspecially if you have sensitive hair, i.e. protein, cholesterol, low porosity sensitive hair. Coconut based products do have their benefits and they are amazing so there is no need to miss out! I would not recommend going straight back to coconut OIL but I would recommend trying out coconut milk or coconut based hair products like Jamaican Mango & Lime Pure Naturals Smooth Moisture Coconut Milk & Honey Based Products! 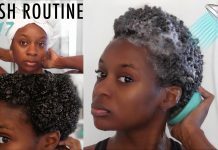 Super Easy Natural Hairstyle Tutorials On My Channel! TWA stands for Teenie Weenie Afro. If bear is not in a video its because he is usually off on a date or sleeping. What camera are you filming with? Canon T5i, if you are just starting off i say go for the rebel series just make sure you got the “i” series because it has a flip around screen. Type 4a in the front. Type 4b on the sides. Type 4c in the middle and a little sprinkle on the sides. This is why I just refer to myself as just type 4. Looking to earn extra cash online? No its not difficult and its not a scam LOL. Check this video I made on it down below! Are you a content creator? If so check out these links that can help grow your channel! Looking for products to review? Sign up with the link below! Have 5,000 Subbies? Click the link below! 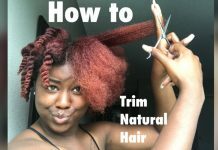 Next articleThe Natural Hair Cheat Sheet! 20 Mind Blowing Ways to Grow Your hair!